Li-Ning, the Chinese sportswear brand that signed the Blazers guard to an endorsement deal in 2017, is hosting a pop-up shop in Northwest Portland. Finally, Portland will have a chance to get their hands—and feet—on CJ McCollum's shoes. Li-Ning, the Chinese sportswear brand that signed the Blazers guard to an endorsement deal in 2017, is hosting a pop-up shop at Index in Northwest Portland this weekend to debut a new product line, the highlight of which is McCollum's signature YuShuai 12. While the shoe has been on sale in China since October, this is the first time it'll be available for purchase in the United States. The Rose City YuShuai 12. Constructed from a lightweight textile upper, the YuShuai 12 is remarkably 2018 with a huge synthetic TPU shroud that covers the lacing system and secures at the quarter. The shroud on this pair features tons of embroidered roses in rose gold with CJ’s logo on the right shoe. Cushioning is supplied by Li-Ning’s Drive Foam and Cloud Foam while the shoe rides atop translucent rubber outsoles. The pop-up is 1-7 pm Saturday, Jan. 19, with the remaining inventory available beginning at 11 am on Sunday, Jan. 20. According to a press release, the YuShuai 12 will be available at Index "in very limited quantities" and cost $160. Other exclusive footwear and apparel will be on sale as well. 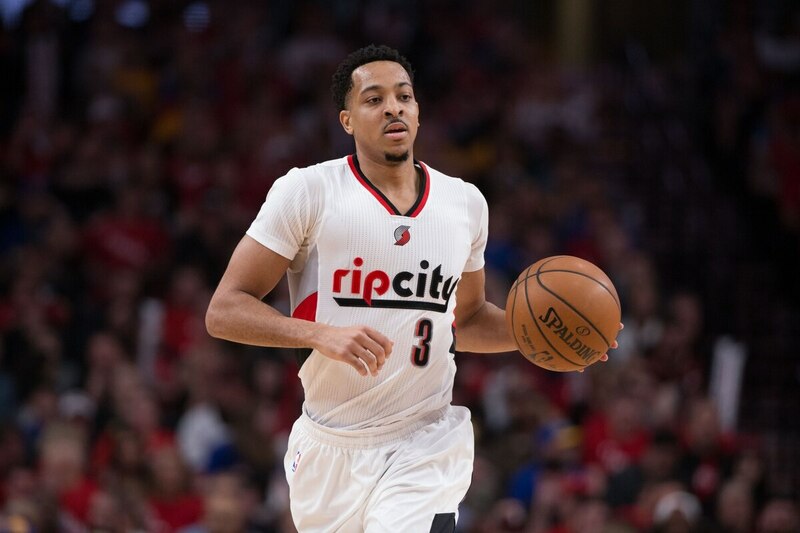 McCollum himself will be attendance on Saturday, along with other, unspecified Blazers. Index is located at 114 NW 3rd Avenue. Related: The NBA's Great Forgotten Shoe Endorsements.